In 2015 Spinifex celebrates its 10-year anniversary with a very special ensemble: spinifeX maXimus. 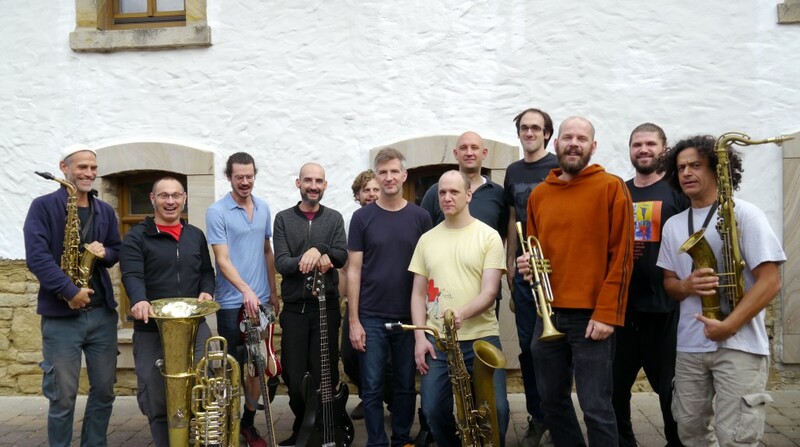 The current quintet line-up, which has received enthousiastic reviews for the recent cd Hipsters Gone Ballistic, is still spinifeX maXimus’ nucleus and its defining force, but the ensemble is joined by seven extraordinary musicians from Europe and the US, opening the doors to an even wider range of dynamics, new orchestral colors, creative energy and joyful improvising. Spinifex also presents a 5-CD box, celebrating its 10 year anniversary. Included in this box is the brand new spinifeX maXimus CD, a also brand new Spinifex quintet CD titled Veiled, a Spinifex Live CD with highlights of the last years, and re-issues of the first 2 Spinifex CDs: Triodia and Hipsters Gone Ballistic. 4 november Tivoli/Vredenburg, Utrecht, 21h downstairs in the café / foyer!